City: 17 – Hwy: 27	Actual rating will vary with options, driving conditions, habits and vehicle condition. 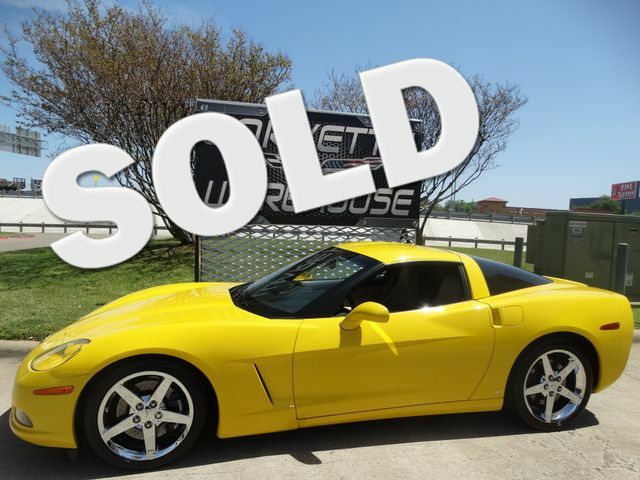 2006 Velocity Yellow / Cashmere Leather Chevrolet Corvette Coupe 6-Speed Manual Transmission, 3LT Option Package, Removable Top, CD Player, Z51 Performance & Handling Package, and the GM Chrome Wheels with only 45k miles! This C6 Coupe comes equipped with the 3LT Option Package, removable top, power windows, power locks, power mirrors, sport bucket seats, Z51 performance & handling package, and GM Chrome Wheels. It is in excellent showroom condition and been highly maintained.